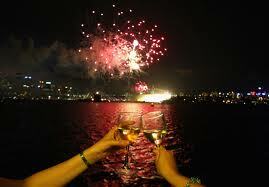 DiStefano Archives - Write for Wine: It's Wine O'Clock Somewhere!Write for Wine: It's Wine O'Clock Somewhere! The first time we ever tasted Cabernet Franc is stamped in our memories because we immediately fell in love with this grape. The year was 1999, when we had just moved to Seattle and took our first drive to Woodinville wine country. The winery was DiStefano. We became instant fans and remain so today. Slightly more than a year ago, we included DiStefano’s 2005 Sogno Cab Franc in our Top 11 Washington state wineries that produce the Cab Franc grape as a shining single-varietal wine. We now add 2007 Sogno Reserve to the list. Wow! Cab Franc is typically used as a blending wine to add more complexity to Cabernet Sauvignon or more structure to Merlot. 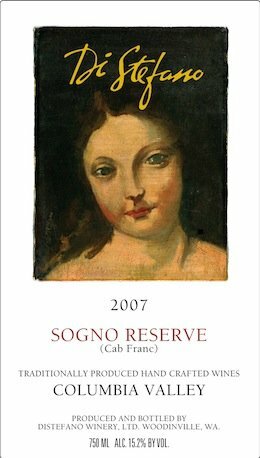 But when Cab Franc is created as a stand-alone wine and done well, like 2007 Sogno Reserve, it’s magic. Glorious. Superbo! Did we mention only 150 cases were produced? What are you waiting for?